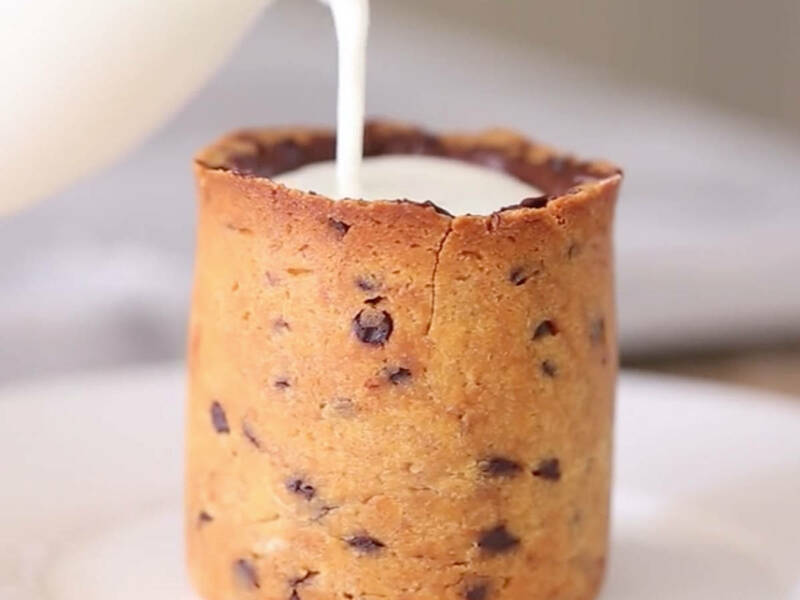 Made famous by French confectionary genius and cronut mastermind Dominique Ansel, the cookie shot glass has sparked yet another full on food craze, which, in its wake, has inspired thousands of budding pastry chefs to try their hands at recreating it at home. As you can imagine, YouTube is already brimming with tutorials of varying degrees of quality. Accordingly, finding a decent one can be huge pain . Every mother-in-law’s dream/chef/blogger/YouTuber Byron Talbott, however, nailed it both in terms of expertise and aesthetics. So, if you have always dreamt of enjoying your milk and cookies at the same time, check out the video and let good old Byron teach you how it’s done. For some additional inspiration check out our latest shopping list that might come in handy in your endeavor to perfect the cookie cup. One of the first things you will need is a set of quality mugs, of course. These will not only hold a damn fine morning coffee, but also keep your cookie cup in shape. This set of 10 nesting glass mixing bowls comes at a bargain price without compromising on quality and looks. Stainless Steel Whisks A whisk needs to withstand more than just one literal beating in its lifetime. So invest in some sturdy ones like these. Wouldn’t it be great to have full-fledged kitchen everywhere you go? Arguably this portable cooktop is nothing near a gourmet chef-level kitchen but it will nonetheless serve you well during your cooking adventures on the go. This sleek marble board is not only a feast for the eyes, it also keeps butter and other sensitive ingredients cold and provides a perfect base for rolling out your cookie dough.